Some businesses have a hard time jumping on board the environmental movement. Uncertainties of cost increase and apprehensions of changing procedures stop them in their tracks. If this sounds like a company you work for or a company you own, here are simple things you can suggest or implement right now to get you on the path of a more Eco-friendly workplace. Stop providing plastic cups and Styrofoam coffee cups to employees. 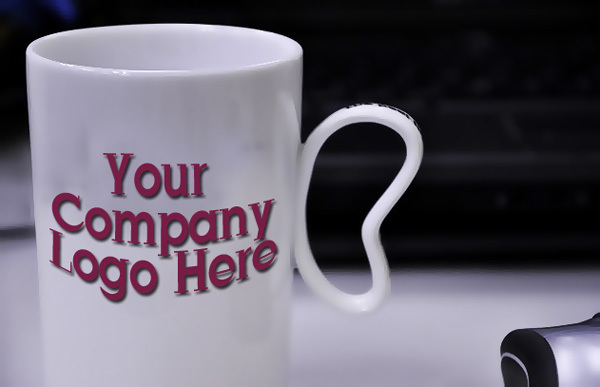 Instead, provide a coffee mug for each employee with your company logo. This also serves as a gift for being part of the team, while saving cost on the constant purchase disposable items. When not in use, shutting down your computer is not enough: power continues to flow to its printer, scanner, modem, speaker and stand-by lights. And, as long as everything is plugged in electricity continues to be used. This energy loss is known as vampire power or phantom energy. You can ask employees to make sure all their peripherals are unplugged before leaving their desk. Wire your network and create a folder to share documents. This way, co-workers can review files through the network without having to print them. Allow employees to telecommute when possible. As a company owner, providing this option to employees will save money by requiring less office space. As an employee, this saves money & cuts down on CO2 emissions by eliminating the daily commute. No more paper invoices and checks in the mail. Use online services like paypal, popmoney or freshbooks. Most of your clients are comfortable at this point making payments online for your services or products. Consider adding a “purchase online” form to your website that allows you to accept deposits and payments online. Instead of using promotional giveaways like plastic gizmos or useless plastic trinkets, provide Eco-friendly promotional items like reusable bags, reusable water bottles and eco friendly lanyards. By switching to reusable & Eco-friendly products for promotion, you’ll be helping the environment while promoting your company and delivering a positive presence that may encourage others to be more environmentally conscious. Do you have a quick Eco-fix for your workplace? Share it with us! Factory Direct Promos is a direct manufacturer of Reusable Grocery Bags and other eco friendly items and connect with us on Facebook and Twitter. Is Climate Change Affecting Your City? Find Out Here!